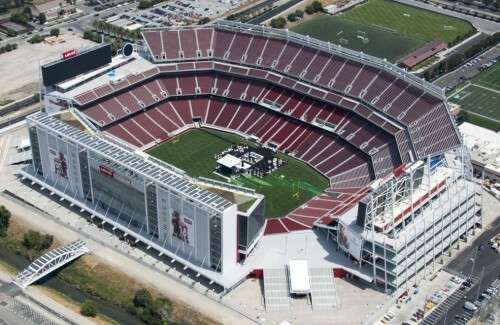 The legendary rock band U2 played a concert recently at the nearly-brand-new Levi’s Stadium in San Jose, California. And the fans complained. Not about the band. By all accounts, U2 played a tremendous show. What made the concert-goers furious was the venue—Levi’s Stadium itself. On social media, fans complained vociferously about long security lines, interminable waits for food, an unclear—and seemingly inconsistent—policy on large purses, horrible parking lot traffic, and concession stands running out of food and drinks before the show even began. Some people said it was the worst concert experience they had ever had, with many saying they would never return to Levi’s Stadium. The stadium management team immediately responded. In the worst way possible. By ignoring, downplaying, and arguing with the fans’ comments, telling the media that from their perspective, the event was a success. The tone-deafness of the response only adds to the Bay Area public’s negative perception of Levi’s Stadium, which has been controversial since before it was even built. Complaints have poured in since the first events were held in 2014, virtually none of which have been addressed or corrected. Responses like this one send the message that the stadium ownership couldn’t care less about their paying customers. And those customers have responded, with attendance down dramatically at 49ers football games and season-ticket holders defaulting on their tickets. The lesson here is that if you don’t pay heed to your customers’ words, they’ll start speaking with their wallets. Which message would you rather deal with?